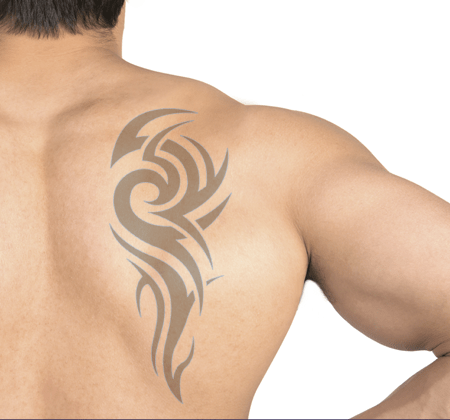 Discover NOI’s vast portfolio of lasers for tattoo removal. No one knows tattoo removal like the experts at NOI. As the tattoo removal market has exploded, Quanta has led the charge in technological advances with industry-leading machines that have set the benchmark for clinical results and cost effective ownership. Advances in Q-switched Nd:YAG and Ruby laser technology have now made laser tattoo removal one of the easiest and most profitable aesthetic procedures to offer for new and established practices. NOI Q-switched tattoo removal lasers allow for multiple configurations, uses and pricing which provides opportunity for a significant return on investment. In 2008, NOI introduced the Q-Plus™ C laser that revolutionized the laser tattoo removal industry, raising the bar of versatility and clinical results. This groundbreaking machine was the first Q-switched tattoo removal laser to feature a 694 nm true ruby laser capable of treating difficult blue and green inks, in the same machine with the Nd:YAG 1064 and 532 nm wavelengths for black, brown, orange, yellow and red inks. Today, we’ve built upon the foundation of the Q-Plus™ C and are proud to bring you our new EVO Q-Plus™ Series which offers the fastest Ruby laser on the market as well as multiple emission modes to expand treatment possibilities beyond typical Q-switched devices. Some companies sell two separate devices in an attempt to offer similar efficacy and wavelengths available in the Q-Plus™ Series, increasing cost of ownership, service fees and ultimately cutting profitability. Other systems have fewer true laser wavelengths and offer handpieces in an attempt to provide similar efficacy and wavelengths (think 585 and 650 nm). Don’t be fooled as these systems tend to fall very short in later treatments, where more fluence is needed to provide clearance of the faded tattoo ink. Years of experience in the laser tattoo removal industry have allowed NOI to not only develop cutting edge technology and systems, but offer a true consultative approach to breaking into or increasing market share in the industry. The NOI Business & Buying Guide to Laser Tattoo Removal covers the key points of establishing your business, maximizing profits, purchasing equipment and pricing treatments.